Learn the monetization strategies that other podcasters are using as I'm joined by Brian from ProfitCast in this special crossover episode. 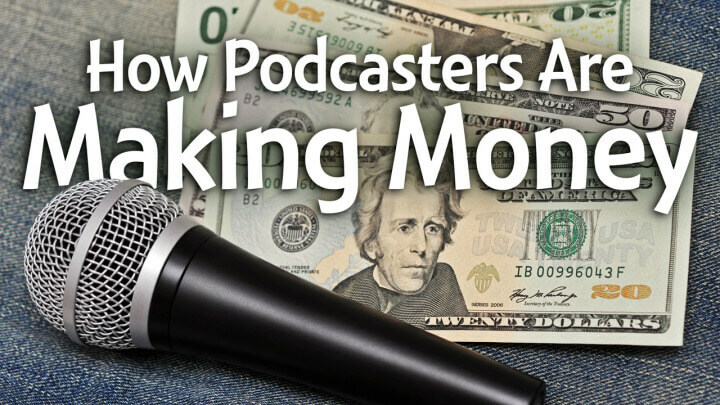 This is the way most podcasters are interested in using to monetize their podcast. Yes, it is the easiest, because you can simply promote it, promote impressions, and get paid. The most important number to sponsors isn't actually the size of your audience, but it's how engaged your audience is and how likely they are to take action on the sponsors. Most podcast sponsorships will pay based on how many thousand impressions you get (CPM), how many actions are taken (CPA), or a flat rate. John Lee Dumas's income for Entrepreneur on Fire looks great, but you have to have a very popular show with lots of downloads per episodes. But only a relatively small portion of John's income comes from podcast sponsorships. The most important thing to do with any style of sponsorship is making it relevant to your audience. This is how Audible.com and Audiobooks.com have great success in this space, because they have audiobooks that appeal to almost anyone. I've had sponsors for The Audacity to Podcast before. Now, I regret it because it would have been better to promote my own products and services than someone else's. This perspective is shared by Cliff Ravenscraft and Gary Leland. Potential sponsors do want to see large numbers, but the likelihood of your audience taking action is even more important to them. Before you try working toward getting sponsors, make sure your podcast has great content, presentation, and production. Look at the success of Serial. That team was highly skilled in creating, presenting, and producing great content. Serial took almost a year to produce, so they had great momentum and leverage before the show even started. You'll see similar stories with other great podcasters. They invested heavily into making a great “product” in their podcast. But having great content isn't the only part, you also need great marketing or else no one will know about your show. 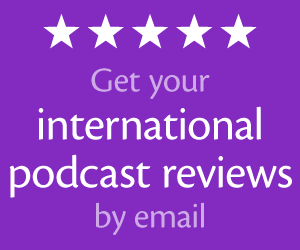 Have a great podcast: content, presentation, and production. Know your actual numbers! I recommend Blubrry Stats or LibSyn. Know your audience. How engaged are they? What products and services would be a good fit? Who isn’t using affiliates? Pat Flynn is a great example. He chooses products that he knows and can truly recommend, and he knows his listeners will appreciate them, too. Just look at his BlueHost income! He gets that because he made a video that communicates great information targeted for his audience, and it happens to promote his affiliate link. Michael Hyatt is also having great success with this. Affiliate income builds over time. The more content you put out, the more you could build your reputation and build a large archive of relevant affiliate links. December, 2014 was my own best month for Amazon.com affiliate income—$1,200! That big spike (double my previous record) resulted primarily from Christmas shopping plus the podcasting deals I was emailing. If you live in Colorado, you can't join the Amazon.com affiliate program. You need to look at your local regulations to see whether you can join a different affiliate program. Communicate why you made that choice and your audience will probably be understand and continue to support you as they can. Even if a company doesn't offer an affiliate program, you could negotiate a coupon code with them and then you get a portion of all orders placed with that coupon code. This is how my LibSyn affiliate programs works, how Cliff Ravenscraft's previous sponsorship for Family from the Heart worked. This is also extremely trackable for that retailer. A promo code is great because it can often give great incentive to people to use that code. When you try to apply for more exclusive affiliate programs (or try to have one created for you), make sure you explain to the retailer why it would be a good fit. This is great practice for approaching a sponsor someday! Offering affiliate links can often be an easy way for your audience to reciprocate after receiving your free content. When you have separate content ventures, make sure you're tracking them separately within your affiliate accounts. When you can't beat the price, try to beat the value. That value could simply be in packaging everything for someone to buy—they don't have to shop around and pick all the right gear (Cliff Ravenscraft does this well with his gear packages). But when I plan to launch my own podcasting gear store, some of these products and packages will have extra video training included with them. You could make extra value by recording a “how to setup” video, a list of secrets, or anything else that someone couldn't get somewhere else. an agreement with distributors (contact the manufacturer to find how what wholesale distributors might work with you). This is the best way to make money! Invest the time and resources to make a product, then you can make up to 100% of the profits! Listen to my last episode to get some ideas for products you can create for your podcast. Don't start with your biggest product and idea. It's better to under-promise and over-deliver. For your first product, make it something small. The few dollars you may make from that will feel amazing and be the first small step toward big momentum. Starting small also helps with your long-term success by exposing people to the value you can create, without forcing them to take a leap of faith. Consider an ebook, PDF guide, or short video tutorial. 80% of your audience will spend very little or nothing, but 20% of your audience may account for 80% of your income. You may have a fantastic product, but you won't have any success if you're not driving them to that product and marketing its value to your audience. Look at how successful podcasters are often giving away great content for free, but that content is so valuable and enticing that attendees are almost desperate to get the premium product or course. Your expertise may be best on a one-on-one basis through coaching and consulting. Many people will benefit far more from the personalized one-on-one instead of a group setting. Your value will be small when you start, but it will grow with your reputation and experience. If you're not a good teacher, it may be better for you to offer your expertise as a service. For example, you can hire me for several hours and thousands of dollars to teach you everything you may need to know in order to fix your podcast RSS feed. Or, you can hire me to use my expertise to fix it for you and save you the time and effort for only a flat rate fee in most cases. People are more interested in paying for solutions than paying for time. Look at the thousands of dollars that Rob Cesternino through Patreon contributions every month (I think Rob is the most humble successful podcaster). This gives your audience the chance to feel part of your show. Give them the shoutouts and thank them for their support. I'm amazed and humbled by the support I receive for my free Once Upon a Time podcast. Some of our supporters are automatically donating $50 per month (hundreds of dollars per year), just because they love what we do! Tom Merrit is probably the most amazing with this—more than $13,000 per month from his audience! To have a successful campaign, make sure that you're making your supports feel exclusive. Thank them in your episodes, send them fun swag, or do something fun for them. Look at other successful creators on Patreon to learn what's working well. This was more popular in the early days of podcasting, but many (like Keith and the Girl, NPR, and other popular shows) are still having great success with this. Don't alienate your free audience! Give your paying audience more. Check out Brian's side, “Monetization Strategies Successful Podcasters Use,” on ProfitCast. 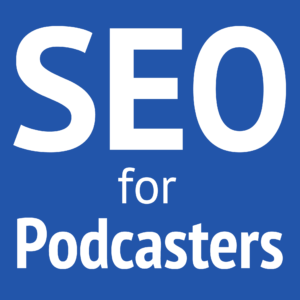 SEO for Podcasters is now available! Totally! Podcasting is already a long-term strategy. Wow, Daniel! This was a great episode. The interview sounds like you and Brian were hanging out and having a conversation. Great job! Thanks! We actually started the conversation talking about how it was going to be a conversation instead of an interview, but I cut that part from the published content. I like to use affiliate links on my site and podcast. However. I use a number of performance marketing websites like commission junction and Amazon affiliates. But is their a way that I can track my commission within my WordPress dashboard? To bulk all of them in one place! That’s a great question! But I don’t think there is a way. What I do is bookmark all of my affiliate reporting sites in a folder in my browser. Each day, I right-click on that folder and open all of the links at once. This episode was excellent! Great content! The info was delivered without all of the usual “Amway Style” hype that the Internet marketing community has the reputation for spewing out. Just a normal chat between two authorities on what works and doesn’t work. SOOOOOOO REFRESHING! Oh yes, I listened to the whole thing, of course, I ALWAYS listen to the whole thing. Your content is always worth it. Keep it up! Hey Daniel, another quick question for you! Is it considered an affiliate if you just have your own coupon code for your listeners to use to purchase a specific product? If not what would that be called? I’m getting a little mixed up in the terminology I think. Your 10,000 quote, and the fact you never even picked up the phone after I asked you multiple times, like a God fearing consultant should…. i won’t even explain to the lost what the good book says about your duty if asked to give an explanation of faith……motivates me even more to give freely away to those coming up after me, what could have taken you 2 hrs to explain. 100 bucks to tell me 600 to build would have been fair….thanks for the inspiration and motivation, priceless….quit begging for support on the podcast awards….just rely on your content….it stands tall all by itself….u r one the best resources in the game, it’s your people sales consultant skills that need polishing, and dollar signs that need to be wiped from your eyes…mammon is alive and well in modern day Babylon….and you got my number…bro. Another way to make money podcasting is that if you use the podcast to interview influencers/celebs in your industry, it (a) endorses you, making you stand taller with your own audiences and drive higher conversions through association; and (b) by interviewing them, you forge relationships with them, invaluable for JV opportunities, and they’re highly likely to link to you (endorsing you further and sending significant traffic) via their social media channels and so on. Good thoughts. But it’s never good to build your hopes on your guest’s promotion of you or your podcast. What you’re talking about really is simply a way of potentially increasing your reach, but not necessary a way to make money. Respectfully disagree 🙂 – it’s a powerful strategy that can increase both your reach and income, eg. John Jantsch, Chris Ducker, etc. Builds your brand, your profile, your podcast audience, customer base, JV opps and so on. If your famous guest doesn’t promote as much as you want them to, what do you do? You’re not dependent on their promotion of you, the endorsement of you is more implicit, your own authority is elevated anyway and helps attract your marketplace to what you do. Social mentions by a proportion of those you interview are however likely and can have significant benefits both directly and by association. And it’s the start of a relationship with them that can lead to other opportunities for mutual benefit. 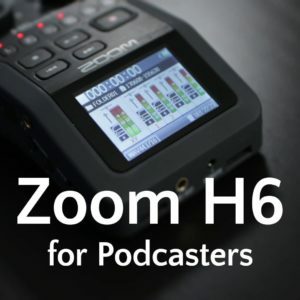 Great post and informative as I begin my podcasting journey! just a heads up, this link isn’t working with this text. Noticed a few links actually weren’t working. Here,this is what a podcast is, it is a digital audio file made available on the Internet for downloading to a computer or mobile device, typically available as a series, new installments of which can be received by subscribers automatically. Does anyone know of any distributors who upload your podcast to all major platforms the same way onerpm and cd baby do for music. A one stop shop that shows you statistics. Second question. Do ppl make money from a certain amount of streams just like music?